This entry served as the basis for the article Estos son los otros muertos del Valle de los Caídos published by Juan Miguel Baquero in eldiario.es on 1 September 2018. The so-called “Valle de los Caídos” (Valley of the Fallen), built to commemorate the Spanish Civil War and opened to the public on 1 April 1959, the twentieth anniversary of Franco’s Victory in the War, is largest mass grave in Spain. It contains not only the remains of Francisco Franco but also those of over 33,000 other people; in many cases the remains of the victims were transferred without the consent or even the knowledge of their families. While this was the case with victims from both sides in the conflict, it particularly affected republicans, as pointed out earlier in Who else is buried in the “Valle de los Caídos”? Innovation and Human Rights has now analysed data on the origins of 20,324 identified people whose corpses were transferred to the Valle de los Caídos, whose details have recently been added to our Central Database of the Victims of the Civil War & the Franco Regime – which now includes a total of some 252,000 case-files. Of those people identified only 157 are women. Of the 20,324 corpses, 4,083 came from Madrid, a number which is the equivalent of seventy coachloads of people; another 3,902 came from Tarragona. What is really noteworthy is the unequal distribution of victims between different areas of Spanish territory. 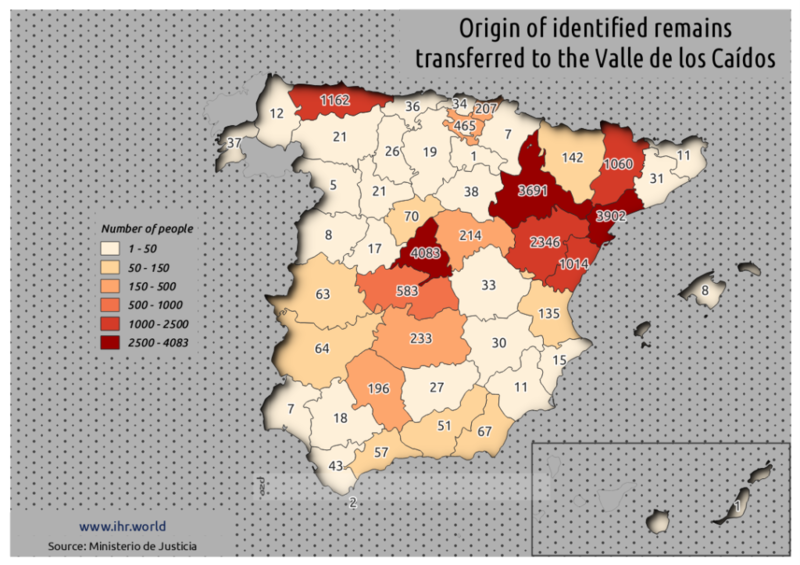 Nearly 70% of those transferred whose remains have been identified came from only four provinces: Madrid (20%), Tarragona (19%), Zaragoza (18%) and Teruel (12%). There are three other provinces – Asturias, Lleida and Castellón – from which over 1,000 identified corpes were transferred. By contrast, according to these lists, there are no identified corpses registered from the provinces of Orense, Pontevedra or Santa Cruz de Tenerife. This analysis corresponds to the dataset in our central database Víctimas enterradas en el Valle de los Caídos. This contains the case-files of over 20,000 people whose names were documented in the Libros registros de la Abadía de la Santa Cruz del Valle de los Caídos, which is a record of victims whose remains were received between 17 March 1959 and 3 July 1983. It should be noted that the website of the Abadia admits to not knowing the exact number of victims whose remains were transferred. 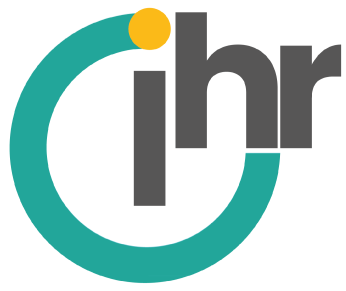 Innovation and Human Rights is working to establish access to all of the documentation which exists on the Civil War and the Franco Dictatorship. It currently has signed agreements with the following organisations: the Associació d’Arxivers i Gestors Documentals de Catalunya; the Universitat Autònoma de Barcelona, the Universidad de Santiago de Compostela (in respect of nomesevoces.net ) and the CRAI- Biblioteca Pavelló de la República. It is also a member of the Coalición Pro-Acceso.